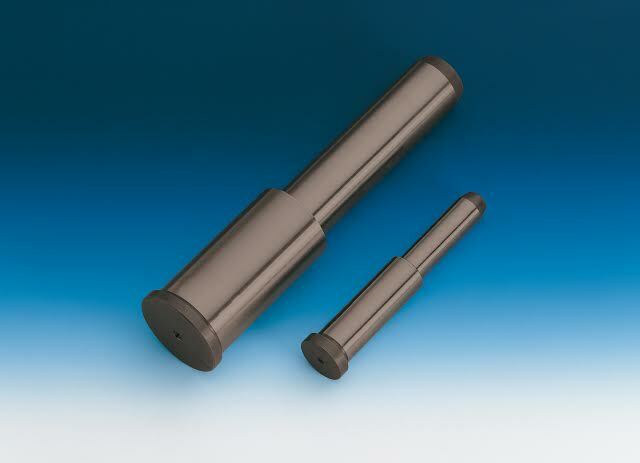 The new DLC coated HASCO guide columns Z031 / …, without centering spigot, meet the highest requirements of injection molding. The DLC coating combines good hardness with excellent tribological properties in terms of friction, wear and Schmierung.Eine superior wear resistance due to high film hardness, low friction and excellent sliding properties contribute significantly to improve the tool life and thus to increase productivity during the injection molding at. Through the use of DLC coated components and the maintenance resultant can up to 80 percent reduction in maintenance costs can be achieved. With consistent use of coated Standard Parts smearing of the tools is completely eliminated. The new guide columns are due to the lubricant freedom and an existing LGA approval ideal for the manufacture of products for the medical and food industries. An exchange of uncoated coated with DLC standard parts in the tool is readily possible, as there is no dimensions. Over 500 sizes of the new DLC coated guide columns Z031 / …, without centering spigot, are available from stock. Benefit from HASCO Special Price on receipt of order from 01:03. until 31.05.2014.